Following the very first JEC Oxfordshire Open Night in March (that actually included the Region's AGM), this was the first true 'Open Night' - all of which take place on the 2nd Tuesdays of every month, but with the location moving around the Shire. There was lots of talk, but no specific activity and no 'agenda'. It was just a meeting of friends new and old who share a love of Jaguars. There was some region future planning done and some debating the shape of the universe but, more important than that, there were new members to meet and new members to recruit. 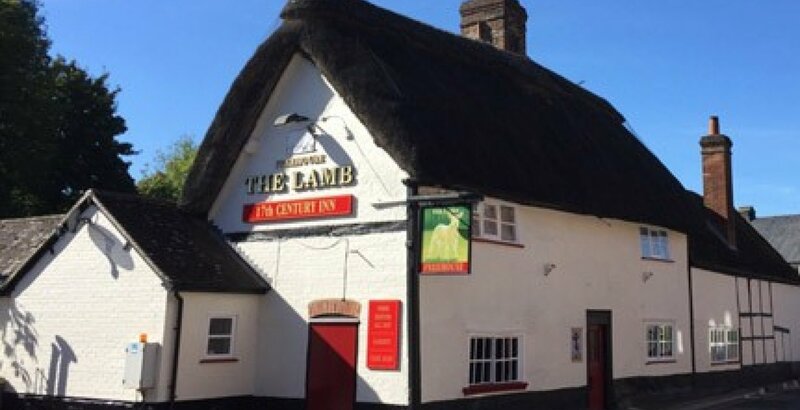 We've been to the Lamb Inn before and knew that there would be good food and a wide range of drinks available at the Bar. The Lamb's car park is quite roomy so lots of scope for those who want to count rivets, kick tyres, light lights or whatever. In attendance were an XK8, two XKRs, a Suffolk SS100 Replica, an XF, an F-Type and other Jaguars. We hope we will see you at the next one !